I am not amused at all by the YouTube video currently going viral on social networks about a news item that apparently aired in last night’s edition of the ABS-CBN late night news program Bandilâ. The video was about two cases of a mysterious disease that has afflicted a man and a woman in the province of Pangasinan. 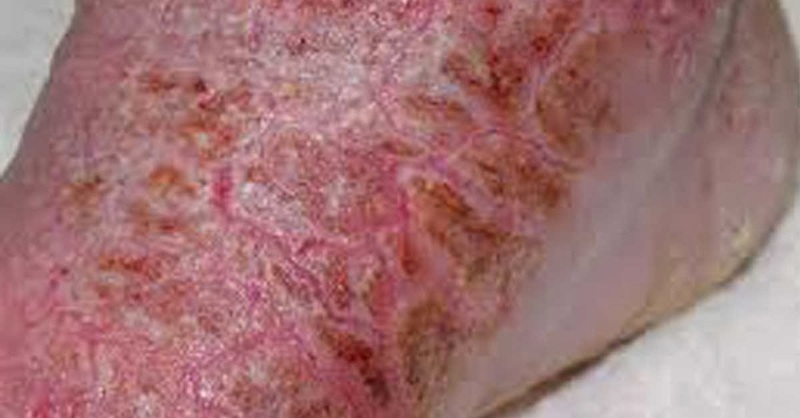 The disease is characterised by scales and painful sores on the skin from head to toes. Claire, one of the victims, had been to specialists in Pangasinan, Baguio and Manila; but none of the doctors she had seen could offer a definitive opinion as to what the disease is. One said it was leprosy. The other said it was a mere skin allergy. Because doctors that Claire had been to could not detect what the disease is or offer a viable cure, her family had even taken her to see a village medicine man. The second case that the news item reported was that of a teenage boy named Joseph. The symptoms were the same; and, as with the first case, none of the doctors that the boy had seen could offer a definitive opinion as well. There is nothing wrong with calling the faithful to repentance and to return to the Lord; but there is everything wrong making citizens more panicky than they already are from occurences that are bound to happen more as consequences of natural phenomena than somebody’s crystal ball. What annoys me the most is the sensationalist nature of the report and the apparent attempt to relate the disease to prophesy made by an Indian evangelist. Already this morning, the hash tag #PrayforPangasinan was trending on Twitter, apparently an after effect of the scaremongering nature of the news report. First of all, I was not impressed by the evangelist’s alleged prophesies. While he might seemingly have scored a hit after Yolanda passed through Samar and Leyte late last year, the truth of the matter is that powerful storms tend to develop late in the year and they also tend to pass south rather than through Luzon because the northeasterly winds push them down. In fact, historically and statistically, the areas hit by Supertyphoon Bopha the year before had less chance of being hit than either Samar or Leyte. What made Yolanda exceptional was its sheer strength; but that was more due to changing climatic conditions than any prophesy. Earthquakes, volcanic eruptions and floods are also are also part and parcel of living in the Philippines. One does not have to be a prophet to know that these will come. And if he said 70 islands will disappear under water, don’t we have more than 7,000? The call for repentance is also as old as Christianity itself; so the attempt to relate this with natural phenomena is something that I find quite lame. Does anybody seriously think that a righteous God will single out the Philippines for sins that men commit? Going back to the mysterious disease in Pangasinan, statistics ought to have been cited; else the report reeked of nothing but shameless sensationalism. Exactly how many are afflicted to even justify the airtime? Out of curiosity, I did a Google search using as search string the symptoms as described by the news report. Google consistently laid out a list of articles all on an obscure skin affliction called Morgellons Disease. The disease is characterised by scabies-like scales and lesions all over the skin similar to the symptoms described by the report on the Pangasinan afflictions. The victims feel the sensation as though insects and worms are crawling under the skin. Little is known about Morgellons Disease, partly because it has not been comprehensively studied and partly because some doctors do not even acknowledge it. Some say that it is the physical manifestation of delusional parasitosis or Ekbom’s Syndrome. In other words, there are those who think it is more of a psychiatric condition. The only thing that, perhaps, makes the disease suspect as a diagnosis for the Pangasinan cases is that it was Claire’s mother rather than Claire herself who claimed to have seen worms and ants peeking out from under the sores. On the other hand, this was not scientifically observed or documented. I came across an article that stated that the disease is spreading in the United States. If it is, that rules out Pangasinan’s culpability. So much, therefore, for scaremongering prophecies! 1. Top photo from http://www.loveforlife.com.au . 2. Information about Morgellons Disease from Delusional parasitosis and Morgellon's Disease: Mysterious Ecto-Parasites. 3. Information about the prophecies from Prophecy of Sadhu Sundar Selvaraj about Pangasinan, Philippines goes viral. If you enjoyed this article, please click the Like button or share it freely on social media. It helps to pay this site's domain name and maintenance costs.